Sounds like you would really like our Chipotle BBQ Sauce. 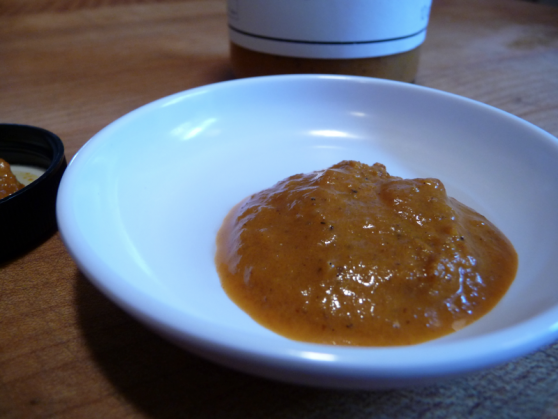 The Chipotle BBQ Sauce has a much stronger taste of Chipotle and a generous amount of heat from Habanero. The honey and tomato taste is stronger too. Chipotle is is my favorite chile. Firehead Thomas mentioned how good yours is. Thanks! 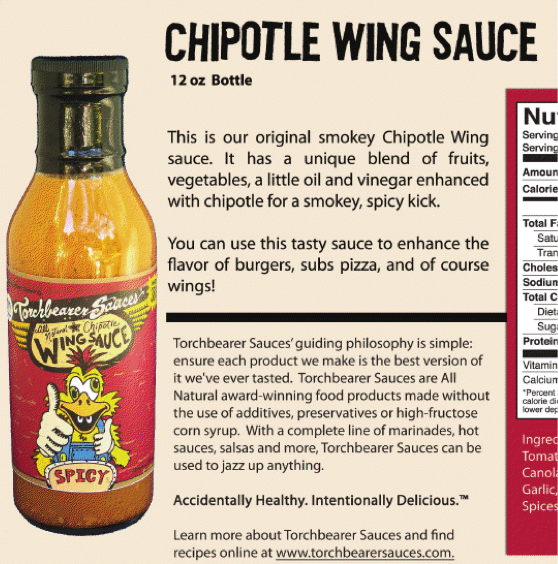 I just ordered this Chipotle Wing Sauce because of your pic in this review. It looks like I will like the texture of it. They have a Buffalo type wing sauce on their site too, but I didn’t get that one since it says Mild on it. 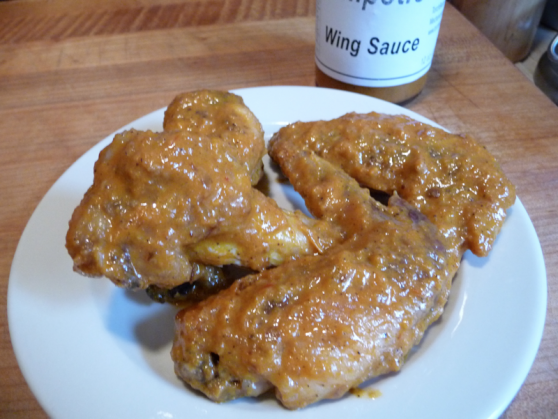 I love wing sauces that have some texture to it, with pepper pieces or crushed red pepper or powder. You know, something a little different than regular smooth wing sauce. Awesome, JenB – I was impressed with the texture of their sauce too. I think you’ll be happy.